Recently, through movies, series, and the globalization process, Asian culture is known to more and more people around the world. And one of the most iconic countries and cultures of the Asian culture is undoubtedly China. Two most visited cities in China are the capital Beijing and Shanghai. Even though it is not the capital of China, Shanghai has never been any less popular than the actual capital Beijing. For a very long time, Shanghai has been a gateway to China, both geographically and culturally. Shanghai is the largest and most prosperous city in China. A perfect combination of traditional and modern lifestyle, Eastern and Western cultures, Shanghai’s uniqueness is undeniable. Every year, millions of tourists from all over the globe rush to Shanghai to experience the culture and attractions of this city. Shanghai has everything, from the impressive skyline to the ancient palaces, from one of the best steak houses in the world to the local dim sum restaurants that will make you never forget, from the 5 stars restaurants to the fun street vendors. If you seek, you will find whatever you are looking for in this modern-traditional Chinese city. If you travel by bus or by car around the city, it is very easy to miss out on some important and interesting places of Shanghai. Therefore, taking a walking tour is one of the better ways to go. Here are some of the popular free walking tour around Shanghai. This company offers many free walking tours around Shanghai. The two most popular tours are the Old Shanghai City Tour and the French Concession Tour. 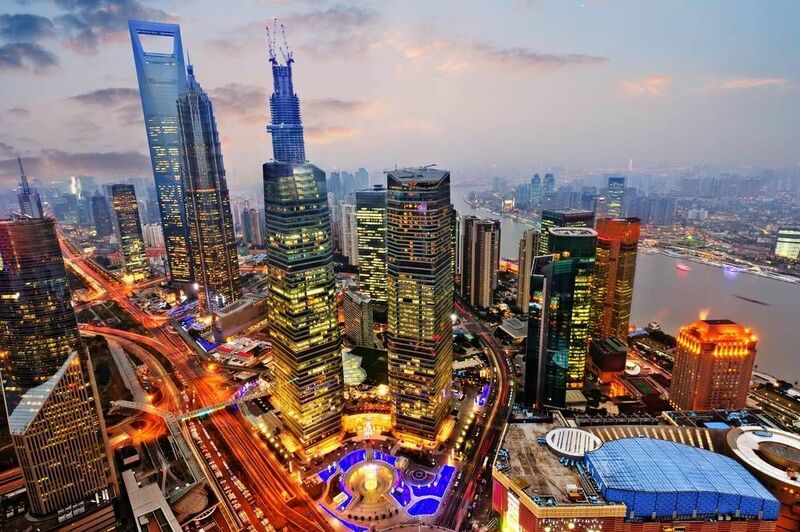 With the Old Shanghai City Tour, you will get to go on a reverse-time-travel tour from the modern places of Shanghai to the ‘Old City.’ You will see Shanghai at its extreme: the very modern parts and the ancient sections. The French Concession Tour introduces to tourists a lesser-known China and Shanghai during the French Concession time, while the country and city started transitioning from the ancient Chinese lifestyle to a more western one. Each tour is about 3.5 hours. Besides those two tours, the company also offers Shanghai Shopping Tour, letting tourists visit and shop in places right in the center of Shanghai – one of the world's biggest Fashion Capitals. There are also other very interesting tours including Historic Hongkou Tour, North Bund Tour, and Canal Town of Qibao Tour. Take a look at their website to choose the one that best fits your taste. Are you from Shanghai and want to be a tour guide? Please get in touch by submitting your details on this page!